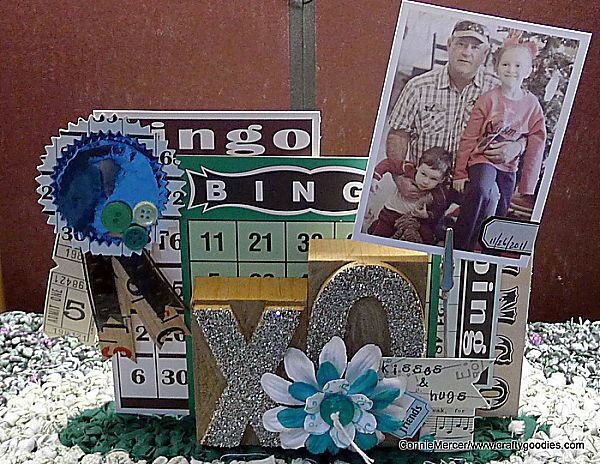 This is the third project up over on Vintage Street Market's blog. I love making these and I think they look so unique~the problem is the printer's blocks are very hard to find. I have two more a four and nine, so I'll be thinking of a way to work those into something very cool!!! Here is a close-up. I glittered the letters with silver glitter. 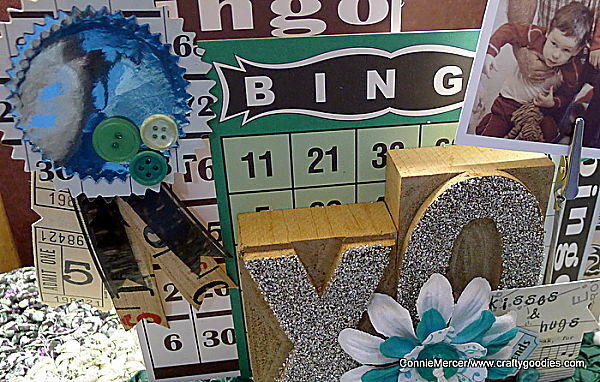 The bingo cards are by Vintage Street Market~I love those cards and find so many great uses for them. Helmar 450 played a big part in holding the blocks together. :):) I'll going to be off for a few days~but I will see ya soon!!!! 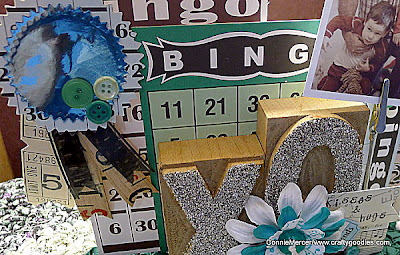 I'm up over on ScrapStreet and The Country Chic Cottage and Vintage Street Market~would love a shout out!!!!! Congratulations on becoming an aunt again, Connie! How exciting! Love the sparkle you added to the letters on this fab project! Congrats on your new addtion!!! Love the "scape. Totally rocks! awesome...I'm a big silver fan...silver anything!